Happy Thursday! The weather in North Carolina is always kind of strange this time of year. You have to check the weather before you get dressed (even if you checked it the night before) to make sure you are dressed appropriately. We have literally had winter and summer temperatures in the same week. It's so confusing on my body and my allergies have been awful #hotmess. This past Saturday, we went hiking and it was eighty degrees but when I woke the next morning, it was the thirties. 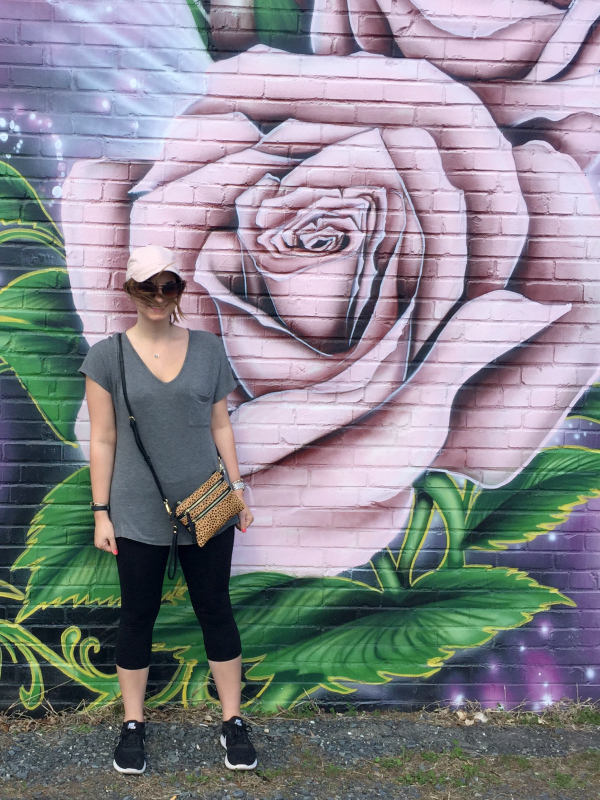 Today, I'm sharing this athleisure look that I wore on Saturday. Like I've said before, I'm loving the fact that dressing comfortably is a trend right now. Where has this trend been my whole life?! It's currently acceptable to wear your gym clothes not to gym without getting crazy looks. I personally like to still wear jewelry to keep the look put together though. I'm also currently growing my bob out (a little) and I am loving being able to make a messy ponytail while wearing a hat (that I lost twice while taking these photos). I love my short bob but it's not fantastic for working out on a regular basis so I want to be able to make a messy top knot. 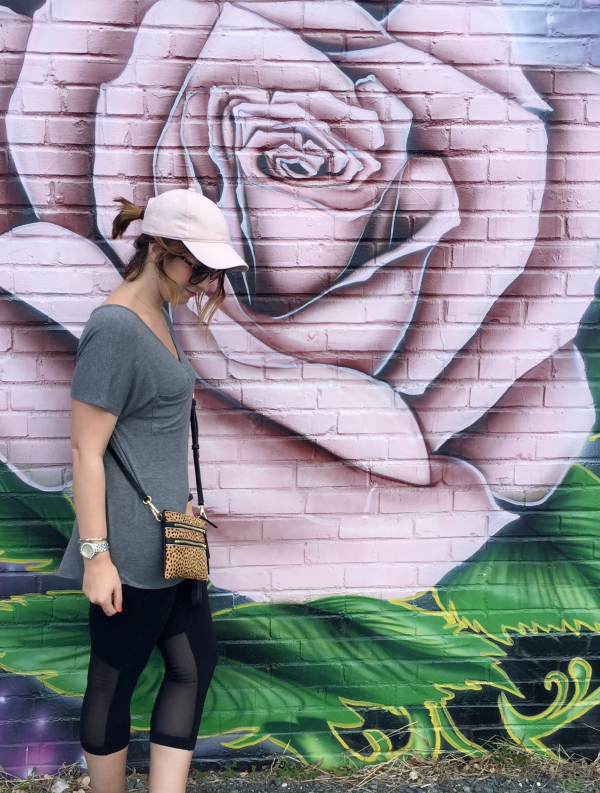 I'm also currently loving all things black, blush, and gray. Can you tell?! I have always loved black and gray as wardrobe staples. I love how blush works with both of those colors! 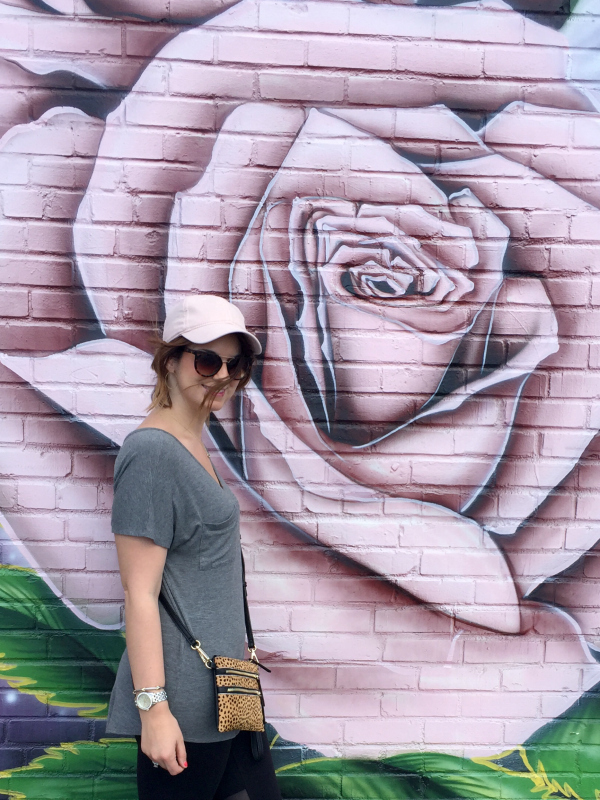 When we stopped this gorgeous blush colored rose painting on a wall downtown, we had to stop and snap some pictures. It's so pretty! 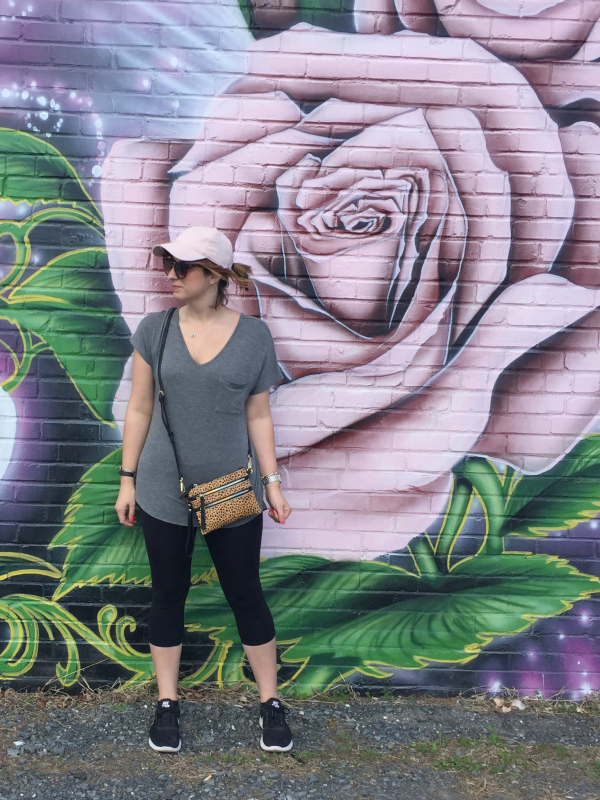 Are you loving athleisure wear as much as me?! Have a great day, y'all! I love those leggings! They are so fun! I love your pink hat! I wish I could wear them because it looks great on you. Love the wall you chose for your shots! So fun! I love comfy looks! And your hat looks great. You look so cute! Love the leggings with the transparant part!! So comfy and that background is perfect! Love the leggings with the transparant part! So comfy and that background is wonderful! 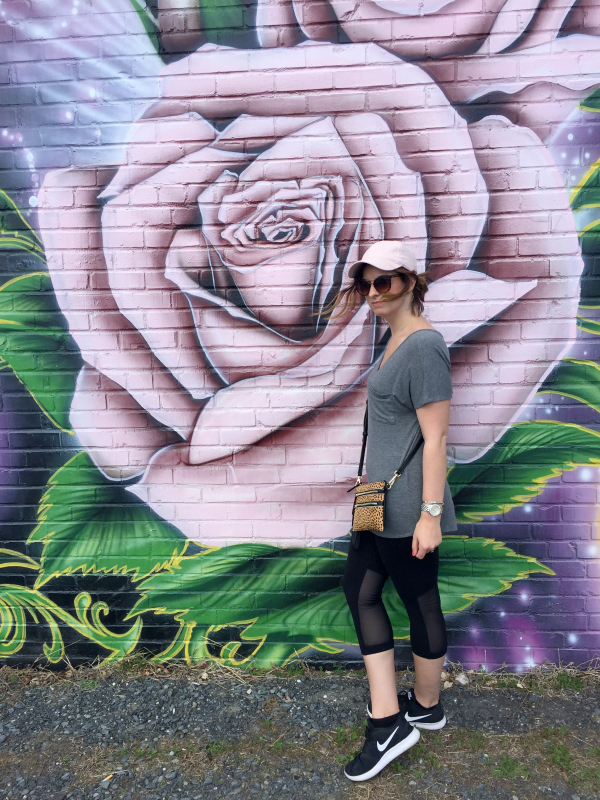 Love the athleisure look! So cute and I love the mesh cutouts!